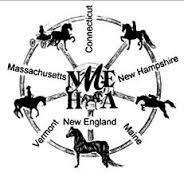 The club is as diversified and versatile as the horse it celebrates and welcomes input from members as to events that YOU would like to add to the NEMHA activities schedule. In addition, NEMHA members are eligible to compete for prestigious year end awards. Howard Schatzberg Photography-BOGO 8x10 photo get a second FREE! Shane Shiflet Photography- BOGO 8x10 photo get a second FREE! Terry Young Photography-BOGO 8x10 photo get a second FREE! A $25 Membership that will pay for itself time and time again with these member benefits! !